Beryllium Copper (BeCu) is a pliable metal alloy with high electrical conductivity. To increase its physical strength, Beryllium is alloyed with Copper, therefore making it ideal for contact and spring contact applications. 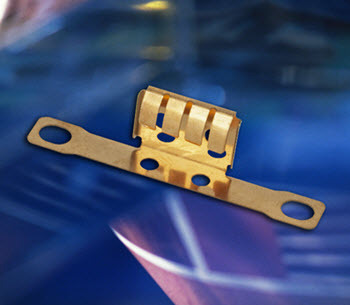 Beryllium Copper is an excellent choice for many applications in electrical, electronic industries. It is one of the easier metals to photo-chemically machine or etch, though a bit more challenging than pure Copper. This alloy might contain anywhere from 0.4 to 3% Beryllium. The thermal conductivity is not quite as effective as Copper, placing it between Aluminum and Steel.